Kaṇāda, son of Ulūka, I am going to argue, is the greatest physicist of antiquity. He anticipated the laws of motion, and he attempted something that no other physicist has dared to do: he created a formal system that includes space, time, matter, as well as observers. The achievements of Classical Greece in diverse fields, especially literature (plays and history), mathematics, science, philosophy, and the arts have profoundly influenced world culture. Especially impressive is the direct narrative style of its writers, the realism and subtle aesthetics of its arts. But here I only wish to speak of physics, where, unfortunately, Greece went wrong. The leading figure here is Aristotle (384–322 BCE), who was the first to use the word “physics” in the sense that it is understood now. Motivated perhaps by biology, he conflated change in biological and physical domains. He defined motion as the actuality of a potentiality, which is fine in the “motion” of a living organism, but wrong otherwise. Motion defined this way requires the assumption of an absolute frame and other imaginary schema. He gave example of four types of change, namely change in substance, in quality, in quantity and in place, without providing logical bases for this assertion. Aristotle was extremely influential for nearly 2,000 years in the Western and the Islamic worlds as he was embraced by the orthodoxy in both Christianity and Islam. Since physics is fundamental to cosmology, his thoughts had a profound impact on the history of Western science. According to Aristotle, the sun, the moon, planets and stars are embedded in perfectly concentric crystal spheres that rotate at fixed rates. The celestial spheres are made up of the element ether which supports uniform circular motion. He took the terrestrial objects to be composed of four other elements that rise or fall. The earth, the heaviest element, and water, fall toward the center of the universe; hence the earth and the oceans constitute our planet. At the opposite end, the lightest elements, air and fire, rise up and away from the center. With the rise of Christianity, Europe was cut off from its pagan past and many Greek originals were lost or preserved only in translations. Aristotle’s Physica and De Caelo (On the Heavens) were translated from Arabic to Latin in the twelfth century. Soon after, Thomas Aquinas in his Summa Theologica (1265–1274) reconciled Aristotle’s ideas to the demands of Christian dogma. This explains why the challenge to the idea of the earth being the center of the solar system (or the universe) was such a big thing in Europe. In 1600, Giordano Bruno was burnt at the stake for his heresy against the geocentric model. Galileo was tried by the Inquisition, found vehemently suspect of heresy, and forced to recant. He spent the rest of his life under house arrest, before dying in 1642. In spite of the fog that Aristotle’s ideas generated there were individuals who did amazing physics. In particular, let me mention Archimedes (287–212 BCE) who made brilliant contributions to geometry and impressive application of mathematics to physical phenomena such as hydrostatics and statics. But of course his physics did not cover problems of motion, where Aristotle held sway. This brings me to Kaṇāda, son of Ulūka, who I am going to argue is the greatest physicist of antiquity. He anticipated the laws of motion, and he attempted something that no other physicist has dared to do: he created a formal system that includes space, time, matter, as well as observers. Kaṇāda (कणाद), the author of the Vaiśeṣika Sūtra, is generally believed to have lived around 600 BCE. He is credited with the idea of the atom as a passing footnote in history books. For example, in A.L. Basham’s well-regarded The Wonder that Was India, he gets cursory reference in one line. The Vaiśeṣika Sūtra has been studied by philosophers but not physicists. I tried to remedy that a couple of years ago in the volume Matter and Mind: The Vaiśeṣika Sūtra of Kaṇāda. In this book of science, perhaps Kaṇāda’s most impressive assertion is that all that is knowable is based on motion, which gives centrality to physics in the understanding of the universe. For context, note that Newton’s three laws of motion are: 1. An object remains in the state of rest or motion unless acted upon by force; 2. Force equals mass times acceleration; 3. To every action there is an equal and opposite reaction. But Newton considered space and time to be absolute without explaining what that meant. Kaṇāda’s propositions below are poweful because he makes few assumptions. To give the reader a flavor of the astonishing brilliance of Kaṇāda’s vision, I will pick just a few of his propositions to illustrate his system and then I will provide the sutras that describe physical law related to motion. Note that his atoms are in perpetual motion and so he distinguishes between internal and outer motions of an object. From motion, [new] motion is not known. In the absence of cause there is an absence of effect [motion]. The properties of universal and particular are ascertained by the mind. Existence is [self-defined]. [Thus] substance, attribute, and motion are potential (sattā). Existence is uncaused and eternal (nitya). The propositions present general principles that are most reasonable. For example, the idea of symmetry is included in the principle of nitya. Now I present what may be called Kaṇāda’s Laws of Motion. In the absence of conjunction, gravity [causes objects to] fall. In the absence of a force, there is no upward motion, sideward motion or motion in general. The initial pressure [on the bow] leads to the arrow’s motion; from that motion is momentum, from which is the motion that follows and the next and so on similarly. Action (kārya) is opposed by reaction (karman). This list above is just my personal arrangement of propositions and laws. The first law is effectively equivalent to Newton’s first law. The second law, in two parts, falls a bit short, although it has something much more about potential. What is missing is an explicit definition of mass but we cannot be sure if that was not an element of the exposition. Kaṇāda’s third law is identical to Newton’s third law. The Vaiśeṣika Sūtra is just over 370 sutras in 10 chapters, where each chapter has two sections. Calling physical law dharma, the first chapter defines and discusses three categories of substance, attribute, and action. The second chapter describes the nine substances. The third chapter deals with the self and the mind. The first part of the fourth chapter speaks of the eternality of atoms and how sensory perception leads to knowledge. The second part of the fourth chapter deals with the composition of bodies. The fifth chapter deals with action, and the sixth chapter deals with the discipline that facilitates acquisition of knowledge. The seventh chapter elaborates on atomicity and further discusses the nature of ether, mind, space and time. The eighth and ninth chapters describe various types of cognition and negation. The tenth chapter discusses cause. As this summary indicates, the text is a systematic exposition of principles and laws to describe physical reality. The Vaiśeṣika categories are for space-time-matter and for attributes related to perception by sentient agents. Kaṇāda starts with six categories (padārthas) that are nameable and knowable, proposing they are sufficient to describe everything in the universe from concrete matter to the abstract atom. The six categories are: dravya (substance), guṇa (quality), karma (motion), sāmānya (universal), viśeṣa (particularity), and samavāya (inherence). The first three of these have objective existence and the last three are a product of intellectual discrimination. Universals (sāmānya) are recurrent generic properties in substances, qualities, and motions. In it the gross visible matter is constructed out of the varying motions of aṇu, its most fundamental particle. The mind is not an empty slate; the very constitution of the mind provides some knowledge of the nature of the world. The four proofs through which correct knowledge is acquired are direct perception, inference, analogy, and verbal testimony. In other words, the system represents a logical and scientific approach to reality. Particularities (viśeṣa) reside exclusively in the eternal, non-composite substances, that is, in the individual atoms and minds, and in the unitary substances ether, space, and time. Inherence (sāmānya) is the relationship between entities that exist at the same time. Of the six categories, the basic one is that of substance and the other five categories are the ones that the mind associates with the substance. Thus observers belong to the system in an integral fashion. If there were no sentient beings in the universe then there would be no need for these categories. There are nine classes of substances, some of which are non-atomic, some atomic, and others all-pervasive. The non-atomic ground is provided by the three substances of ether (ākāśa), space (dik), and time (kāla), which are unitary and indestructible; a further four, earth (pṛthvī), water (āpas), fire (tejas), and air (vāyu) are atomic composed of indivisible, and indestructible atoms (aṇu); self or consciousness (ātman), which is the eighth, is omnipresent and eternal; and, lastly, the ninth, is the mind (manas), which has atomic dimensions. Let the basic atoms of pṛthivī, āpas, tejas, and vāyu be represented by P, Ap, T, and V, respectively. 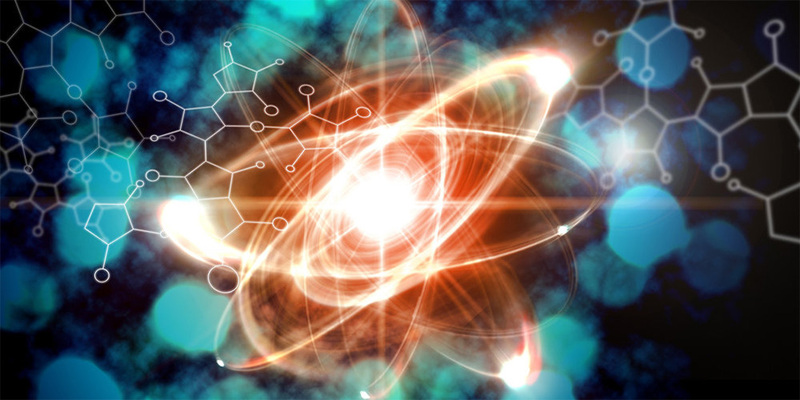 The eternality of the atoms is true only under normal conditions, and during creation and destruction, the atoms arise in a sequence starting with ākāśa and absorbed in the reverse sequence in the end of the world. The sequence of evolution of the elements is given as V→T→Ap→P. The V and T atoms are without mass, whereas P and Ap atoms have mass. It is significant that consciousness is listed before mind, suggesting that it is the medium through which mind’s apprehensions are received. The atoms of earth, water, fire and air are different and this difference arises out of the different ways the fundamental atom of materiality combines with itself in different arrangements. In other words, Kaṇāda foresaw the emergence of chemistry from physics. Kaṇāda’s ideas have always been central to Indian physical thought and they influenced the emergence of modern science indirectly.